Taking advantage of unexpected demand, the mixed-use Village Center is defined by three-to-five-story buildings and recalls the character of Huntsville’s historic town center. 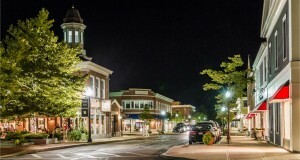 “Providence, which won a 2018 CNU Charter Award, is an example of how traditional neighborhood development can add to quality of life in a car-oriented suburban landscape.” explains Rob Steuteville, Public Square. The 305 acre Village of Providence intentionally rebalances the previously fragmented, single-use sprawl at the northwest city limits of Huntsville with infill, housing diversity, shared amenities, and useful commercial. By providing the region’s missing ingredients in a walkable environment, it has become a preferred place to live and a popular evening hang-out. 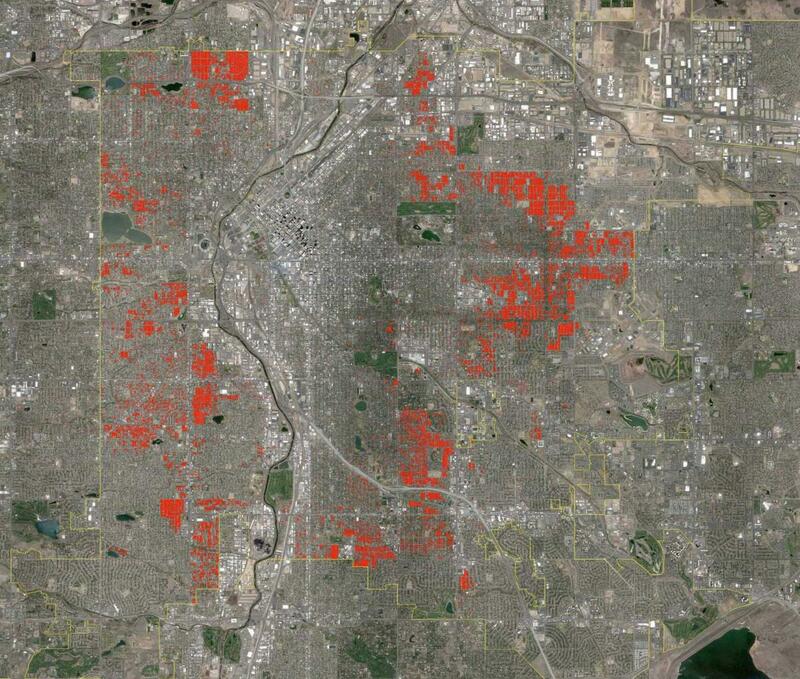 Denver growth in the 1940s: Expanding the urban grid in every direction. Source: Denver Urbanism. Significant changes in urban real estate markets over the last two decades has invigorated downtowns and urban neighborhoods. People who have choices are forgoing private subdivisions and gated communities in favor of places with more authentic neighborhoods and a sense of community. They are finding these characteristics in historic cities and towns. This article discusses how Sprawl has constrained the expansion of urbanism, inflating the economic pressures in high-demand urban neighborhoods. The square at the heart of a proposed Southside town center, with Abercorn Street re-imagined as a multiway boulevard at the lower right. Source: CNU Legacy Project team led by David M. Schwarz Architects. In honor of the annual Congress to be held in Savannah May 15-19, the Congress for the New Urbanism (CNU) developed a “Legacy Project” intended to leave an enduring mark on the host city and region. Retrofits of a suburban college campus and failing mall are key to creating a safer and more lively community. 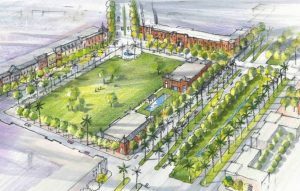 “Consultants proposed a new town center for Southside Savannah that connects to the Georgia Southern University Armstrong (GSU-Armstrong) campus and transforms a busy, automobile-oriented thoroughfare into a boulevard. A failing mall could also be redeveloped into mixed-use urban blocks on the scale of Savannah’s historic district. Many tenants have left the mall, and broken escalators are signs of poor maintenance. If the mall fails, the site could begin to redevelop incrementally. The mall site is rectangular, and so the design team applied the scale of blocks and a square that are similar to Savannah’s Oglethorpe grid plan. The redeveloped mall site would connect to the new town center and allow more urban residential development of townhouses and other “missing middle” housing types. If mixed-use development is to take place here, residential and university-related uses will likely prevail, with civic uses and limited retail and restaurants, Swartz says. The university expansion makes that vision feasible. A large-scale suburban retrofit requires many moving parts—transformation of thoroughfares, new blocks and streets, mixed-use development, re-imagined green spaces, and revised development regulations. The plan covers all those elements, and city officials reacted positively. 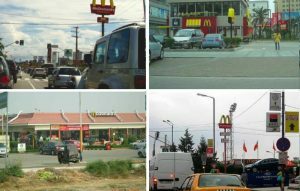 The drive-through lifestyle, exported by America and adopted worldwide, is the “operating system for growth” that is a root cause of rising carbon emissions. Michael Mehaffy explains how the ‘drive-through’ lifestyle, started in America and exported throughout the world, involves a lot of other patterns of consumption that feed off each other, exacerbating problems of sprawl and global degradation. 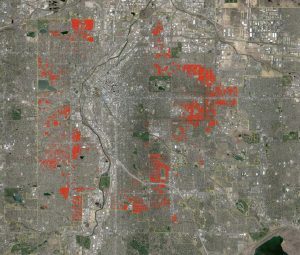 The point is, this is a global inter-locking system, working as a kind of “operating system for growth.” We call it “sprawl” for shorthand—but as most of us recognize, it’s not just low-density development, but an entire inter-locking, now international system of physical and economic development. It includes all the economic practices, lending rules, engineering standards, zoning codes, and all the other “operating system” elements, at local, national and international scales. The other important thing to note about this system, as most of us know but tend to forget, is that it didn’t just happen: it was planned. The system of sprawl, the current “operating system for growth,” was not the natural outcome of American consumer tastes or inevitable market evolution, as some mythology still holds. It was created consciously by businesspeople, politicians, architects and planners, for what seemed like good reasons at the time. 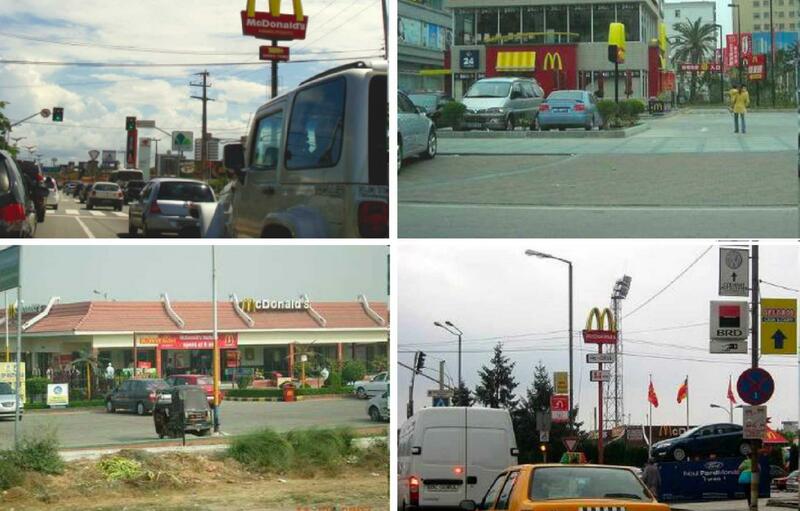 It was and is a choice, one that is now being made on a global scale, as the McDonalds examples show. And it was and is immensely profitable. Of course, the problem is that it is fundamentally unsustainable, and it incurs other catastrophic costs—like climate change. We have the option of a truly more urban model—with more transportation choices, more diversity and mix of uses, more walkable streets and public spaces, and more vitality and “critical mass.” Those things are all very good for climate change. Genuine change or lipstick on a pig? A well-known new urban project has begun to reshape the relentless sprawl around it, but communities shouldn’t wait for that to happen. 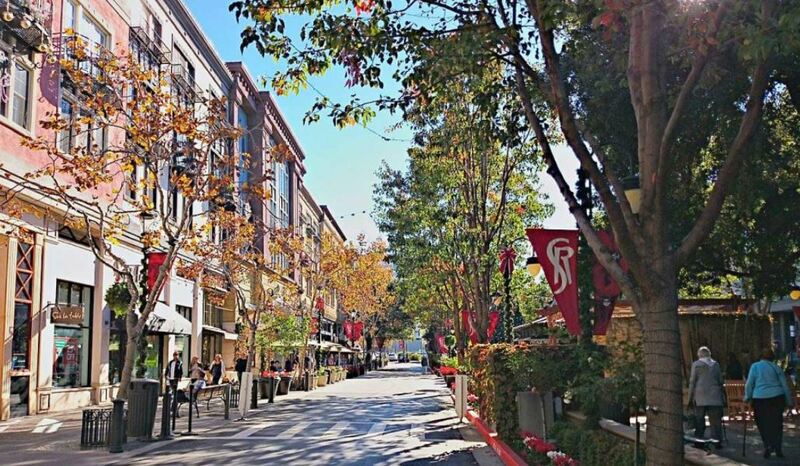 To what extent is Santana Row an improvement [over conventional suburban development (CSD)]? And is it causing a positive impact beyond its borders? 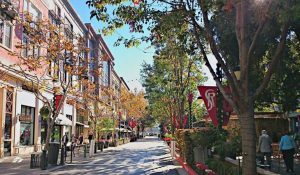 Unlike the strip mall it replaced, Santana Row includes more than 800 housing units on the 42-acre site, in a region that is severely short of housing. “In addition to seeding changes in its immediate context, Santana Row also proved the market for mixed-use, walkable development in the area—and this may have contributed to the revitalization of the city’s downtown several miles away”, according to Ellen Dunham-Jones. Santana Row’s impact has really taken off now that the community itself has taken the initiative to do more. It has taken San Jose a decade and a half to leverage the impact of Santana Row, and therein is a lesson for municipalities. Expecting a developer to solve a thoroughfare or context problem that exists at a far larger scale than the development site is unrealistic. The developer has no leverage to change the culture of an institution like the local, state, or federal Department of Transportation. Even if DOTs would be willing to change, politics are involved. By taking the lead in transforming a major thoroughfare, the developer risks additional opposition to their project. There might be good reasons for a developer to attempt that—and I hope they do—but the developer would be crazy to try it without strong support from local leaders. Local leaders and citizens can learn more about Sprawl Repair and find tools for transforming their own communities from Galina Tachieva, Managing Partner at DPZ CoDesign. The Build a Better Burb Sprawl Retrofit Council met in Miami to explore opportunities for promoting land-use diversity and transportation choice in the suburbs—with particular focus on the needs of smaller suburbs with less robust markets. A follow–up meeting will be held at CNU 24 in Detroit on June 11 viagra l.
The Council is gathering like-minded people and generating a toolkit on suburban retrofit to be distributed on CNU’s Build a Better Burb website. The first products are brief reports on specific challenges and solutions—such as this one on affordable housing tax credits. In Detroit, the Council will discuss peer-to-peer idea sharing and problem-solving, and other topics related to this project. We’re taking Sprawl Retrofit to the next level. Next month, our movement’s leaders convene in the Miami Design District for the first-ever Build A Better Burb Sprawl Retrofit Council. Over two days, attendees will collaborate and strategize around how to transform sprawling suburbs into prosperous, vibrant, walkable places. Help set the agenda for the next generation of suburban transformation. You are invited to join the conversation for leveraging the power of lean policies, sustainability, and small incremental development. With the goal of kick-starting projects and transforming more suburbs, the agenda will focus on five areas of opportunity: municipalities, citizens, developers, finance, and equity. CNU Councils gather high-level practitioners for discussion on placemaking, community building, policy, and design. The Build a Better Burb Sprawl Retrofit Council will focus on the intersection between sprawl retrofit, suburban design, small incremental development, sustainability, and fast, cost-effective tactics that can kick-start projects. The Build a Better Burb Sprawl Retrofit Council is open to all practitioners who have been active in suburban retrofit. Please feel free to share the opportunity to register with your colleagues, friends, and connections in sprawl retrofit and placemaking. Venue: Palm Court, located at the heart of the Miami Design District, will serve as a fitting site for inspired conversation. More Information. 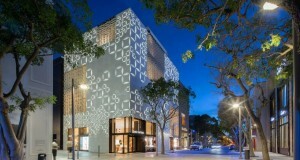 Accommodations: The Miami Design District is located between downtown Miami and Miami Beach, putting a full range of accommodations within reach. More Information. Registration: $150 for CNU members and $175 non-members. Questions: Email Will Herbig, will@cnu.org. CNU is reviving a tradition of intimate discussions with top experts next month in Miami with the Build a Better Burb Sprawl Retrofit Council. For a decade, top new urbanist thinkers met in intimate Councils to work on problems, conduct high-level discussions, and immerse themselves in the art and craft of building communities. Five years after the last Council, CNU is reviving the tradition next month in Miami with the Build a Better Burb Sprawl Retrofit Council. Many of the world’s top thinkers on reshaping and improving the suburbs will attend, rolling up their sleeves along with everybody else. These leaders include Galina Tachieva, author of Sprawl Repair Manual; Ellen Dunham-Jones, coauthor of Retrofitting Suburbia; and Lynn Richards, president and CEO of the Congress for the New Urbanism. As a bonus, this Council will meet at Palm Court in the Miami Design District, a remarkable urban revitalization area that employs suburban retrofit ideas—including connecting big box stores to residential and workplace areas. The Sprawl Retrofit Initiative invites the public to participate in a video competition for the best speed presentation of a sprawl retrofit project.